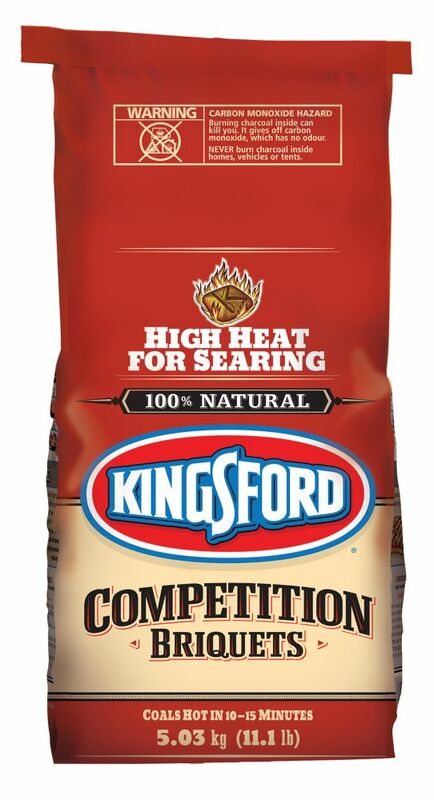 Bring the tastes and the experience of barbecue competition to your own backyard with Kingsford<sup></sup> Competition Briquettes. This charcoal combines the performance needed for competition level results with the convenience needed for backyard barbecue. You get the best of both worlds the high heat associated with lump charcoal plus the unique briquette shape that provides the consistent burn you need for perfect results every time. Available in 11.1lb bag. Kingsford <sup>®</sup> Competition Briquettes burn hot and are ready to cook on fast! They provide for a range of cooking methods based on how you arrange the briquettes and control the airflow. Prepare up to 100 briquettes in a matter of minutes. This lighter basket is designed to direct airflow through the basket to efficiently light your charcoal so they are hot and ready to use in no time. A heat deflector and wooden handle are added for protection. Instructions: For outdoor use only. Fill charcoal lighter basket half full with briquettes. Place basket over Camp Chef stove burner to light, or stuff crumpled newspaper under the basket grate. Ignite over a dry, fire-resistant surface. When tips of briquettes turn white they are ready to cook with. 8 kg bag of Maple Leaf charcoal lump made of 100% natural pure hardwood ensuring high quality charcoal. No scrap wood nor chemicals consumed in the charcoal process. Conversion of the hardwood into charcoal through a slow pyrolysis process. Charcoal from a Canadian manufacturer in continuous operation since 1955. High carbon level allowing low smoke and high temperature burning. Kingsford Competition Briquettes Bring the tastes and the experience of barbecue competition to your own backyard with Kingsford<sup></sup> Competition Briquettes. This charcoal combines the performance needed for competition level results with the convenience needed for backyard barbecue. You get the best of both worlds the high heat associated with lump charcoal plus the unique briquette shape that provides the consistent burn you need for perfect results every time. Available in 11.1lb bag.